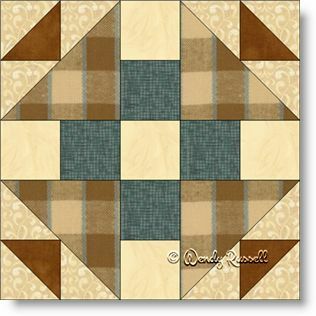 There are many variations of the Monkey Wrench quilt block but all in all, it is a very easy block to create. Squares and half square triangles are all the units involved in the making of this block. The interest will lie in your colour choices, so don't be shy about experimenting. Both of the sample quilts illustrated show the quilt blocks laid out on point. However, note the very different end results by simply changing up the additional elements for the final quilt.